This beautiful bespoke composite front door was installed in Nuneaton recently. It was manufactured using the highest quality five chamber profile, and energy efficient glass technologies. 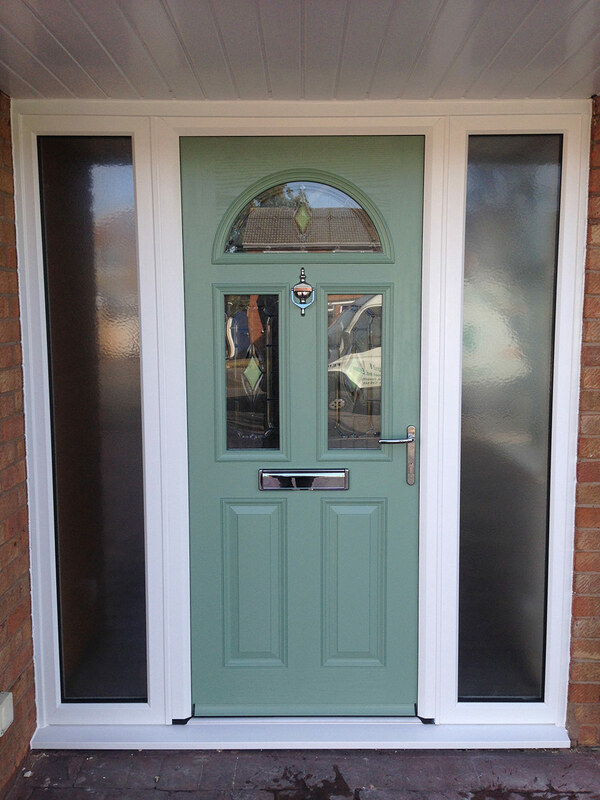 The client chose the heritage colour “Chartwell Green” to add a touch of class to the entrance of her home.